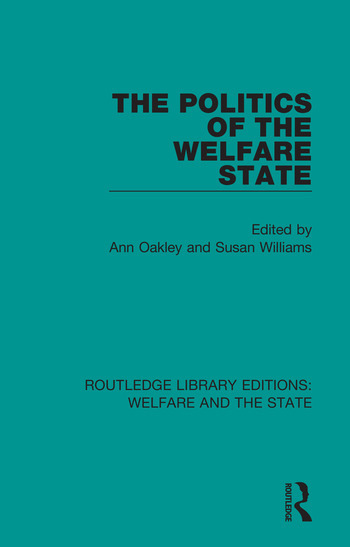 Originally published in 1994 The Politics of the Welfare State looks at how the privatization and marketization of education, health and welfare services in the past decade have produced a concept of welfare that is markedly different from that envisaged when the welfare state was initially created. Issues of class, gender and ethnicity are explored in chapters that are wide ranging but closely linked. The contributors are renowned academics and policy-makers, including feminist and welfare historians, highly regarded figures in social policy, influential critics of recent educational reforms and key analysts of current reform in the health sector. Ann Rosamund Oakley is a distinguished British sociologist, feminist, and writer. She is Professor and Founder-Director of the Social Science Research Unit at the Institute of Education, University of London.